This boy is the absolute sweetest. He lives for face scratches...and food! He was extremely underweight but has been steadily gaining weight. His skin is improving, and his low back/hips seem to be feeling better because he is attempting to play and can now get up on the couch. He just wants love and attention...and a comfortable place to rest his head. Dog friendly (with medium to large dogs), people friendly, kid friendly, house trained, crate trained. He's a little 'too interested' in cats and small dogs. 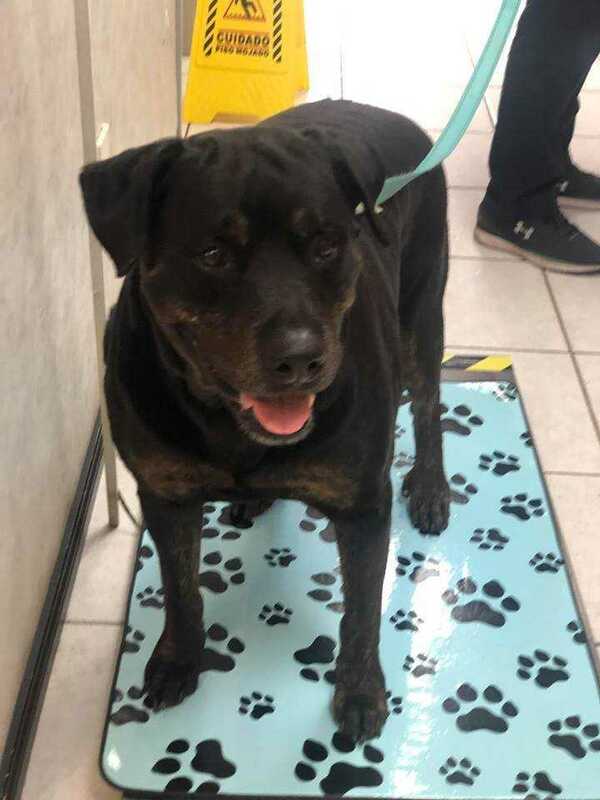 Barber is a sweet eight-year-old Rottweiler mix that came into a local shelter as a stray on 10/15. Just look into his eyes and you can tell that he’s sad and longing for a good home. Barber has some hair loss down the the center of his back and his tail. He also is slightly arthritic in his back legs. Judging from the calluses on his elbows he has probably spent most of his life outside. This sweet, sweet senior needs to be out of the shelter and on to a better life than he’s obviously known so far. I absolutely fell in love with this precious boy and I know you will too. He is very calm and gentle and chooses to stay close to his human friend. He is very loving. He gives kisses. He sits for treats. He wants to please. He appears to be house trained. He went nose to nose wagging his tail with other dogs in the bay. He was not interested in meeting the cats. Barber is waiting to go home with you.